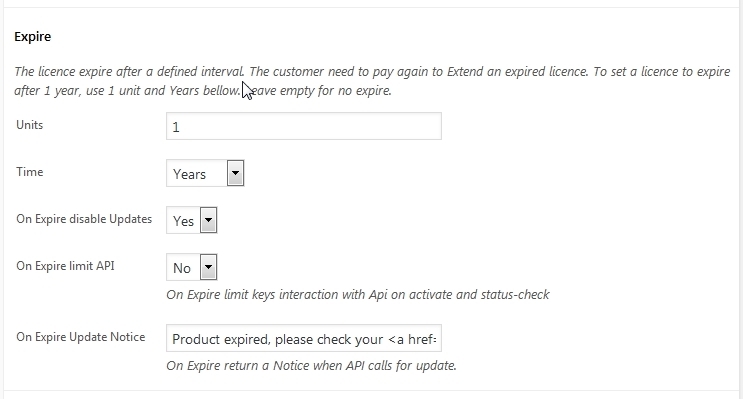 The plugin include a very intuitive and simple to use License Product Expiration functionality. This provide an easy way to set expiration for licenses. No need to spend tons on money on additional tools like subscription application, membership etc this plugin support expiration out of the box! 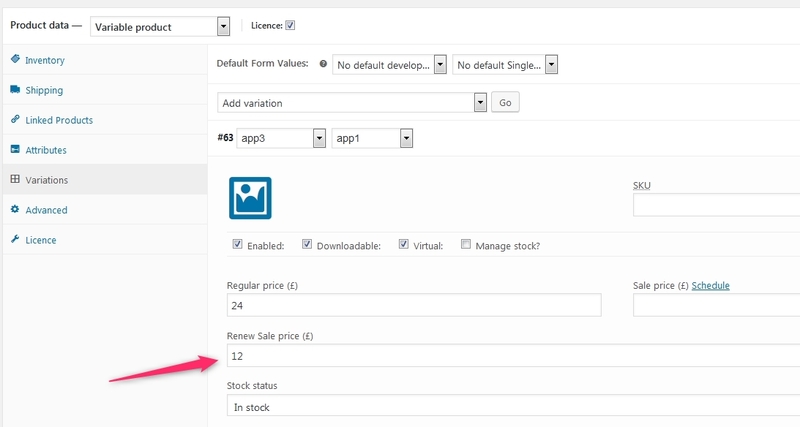 The licence expire module is linked to other components like API, so any key usage are directly connected to status of product licence. To set-up an expire for a lincesed product, the following options need to be filled in within Licence area on the product admin page. From below image, the Units 2 and Time Months means the licence will expire in 2 months from the time of purchase. A licence status is available to check for both admin and customer, on WordPress dashboard and front My Account area. Extend action can be taken at predefined interval (e.g. become available 30 days before expire). The process is identical to a regular purchase, everything go through the WooCommerce checkout process, using the same interfaces and styles. User can pay with any available payment methods which are active on your shop. A licence extend process is saved internally as a new Order, which help to keep track of previous licence extends. The system also include a e-mail notification system integrated within WooCommerce framework, through which the customers can be informed upon the expiration of a licence. Custom messages can be triggered at different intervals, which ca be fully customized, e.g. 7, 3, 1 means expiration notification emails will be send 7 days before, 3 days before then 1 day before licence expiration. Expired Licenses are marked accordingly and not being available to be used through internal API. Also any downloadable become unavailable though the user My Account. Extends can also occur after licence expiration, making everything available again. As default, the renewal price is the same as the initial product costs. This doesn’t need to stay that way, there are situations when the renew costs need to be different, either higher or lower than initial price. There is a new field Renew Sale price through which the renew price can be set-up. Once the licence expire, on a renewal the new number will be used instead. If left empty, the default product cost will be used. The Renew Sale price is available for both Simple and Variable product type.